In a fallen world ravaged by oil and water wars, humanity exists without law or mercy. All those who wander the Wasteland are ruled by a single imperative...survive! 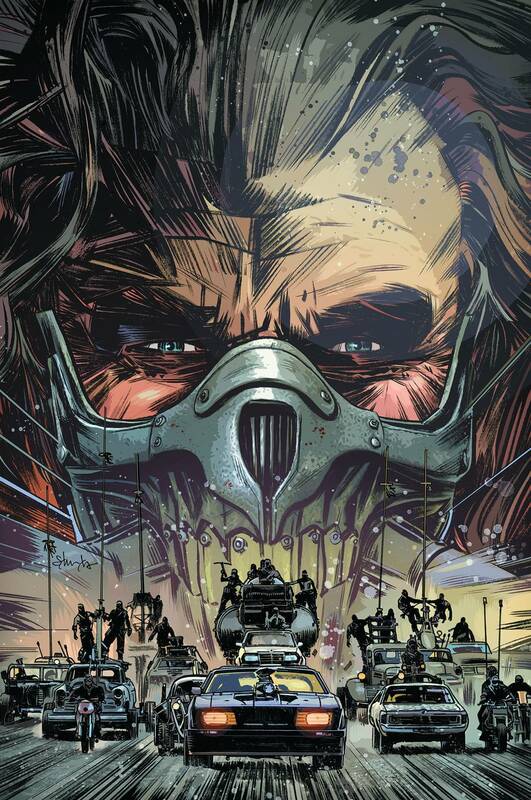 Among them is Max Rockatansky, a Road Warrior haunted by his turbulent past... "It's hard to know who is more crazy. Me or everyone else?!" In this first issue, witness the rise of Colonel Joe Moore, a war hero turned tyrannical warlord...The Immortan Joe! And don't miss the story of Nux, one of the Immortan's "War Boys," who knows only the chaos into which he was born. From the mind of George Miller, the creator of the Mad Max trilogy, comes a brand new epic tale that serves as a prelude to the upcoming film, Mad Max: Fury Road!